Award winning Bodyshop group Rye Street have 7 accident repair sites across the south east. Founded in 1990 they built their reputation on quality and commitment and pride themselves on adhering to industry standards. 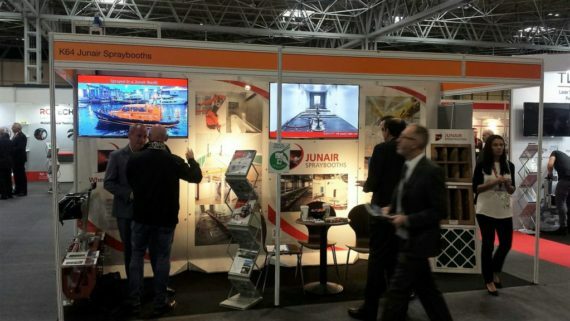 Several of the Rye Street sites are equipped with Junair booths so when it came to increasing the capacity of their Broxbourne site they once again turned to Junair. 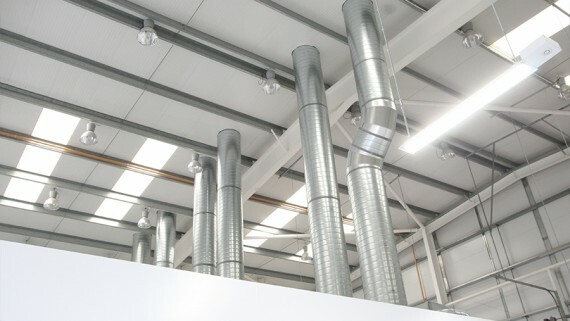 Rye Street Broxbourne was already equipped with 2 Junair 3 Series spraybooths which were only a few years old so adapting them was the most efficient option. 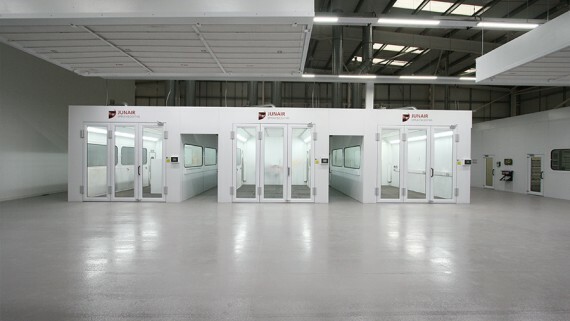 In order to increase the throughput of the bodyshop they were converted to drive through spraybooths to streamline their workflow. In addition to this a third 3 Series LEVAC Ex spraybooth has been added. 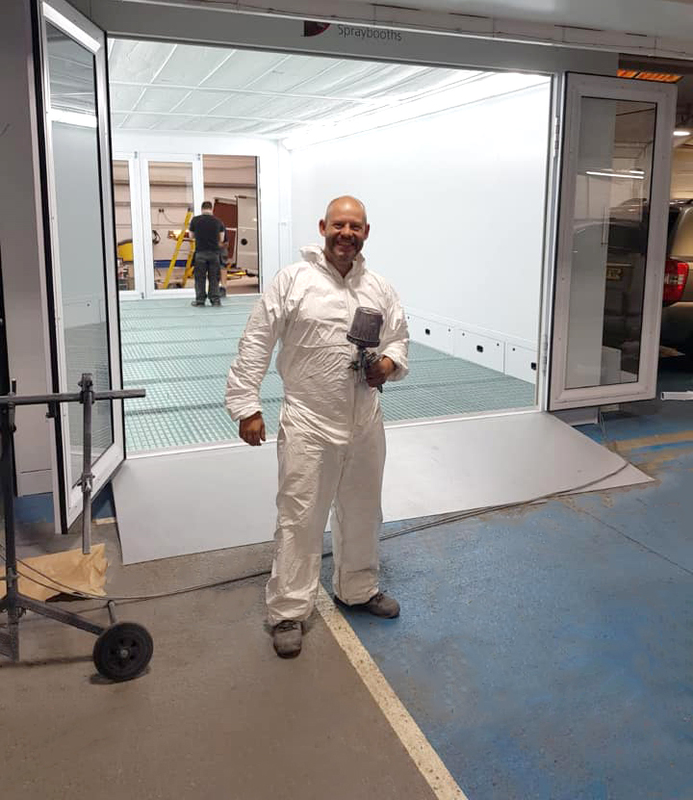 The new 3 Series is an 8m long drive through spraybooth with several energy efficient features such as fuel saver mode, variable speed drives, patented QADs and UltraLux LED lighting. 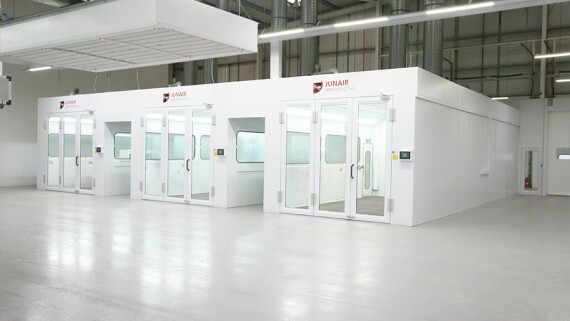 Junair enlist only the latest energy efficient spray booth technologies for clients. 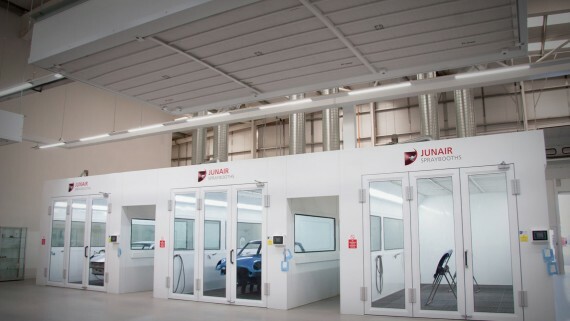 Junair QADs is an auxiliary air movement system which agitate filtered air within the spraybooth speeding up the drying process by up to 40% thereby increasing the bodyshops throughput. Moreover, the QADs Auxilary Air Movement System leads to 35% faster processing times. 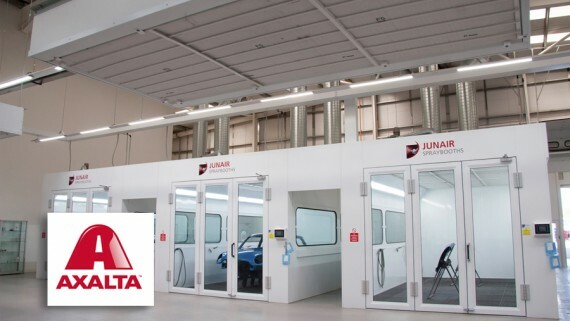 Junairs UltraLux LED lighting is unique to Junair and floods the spraybooths and working areas with light to ensure the best possible working conditions for optimum colour rendition. 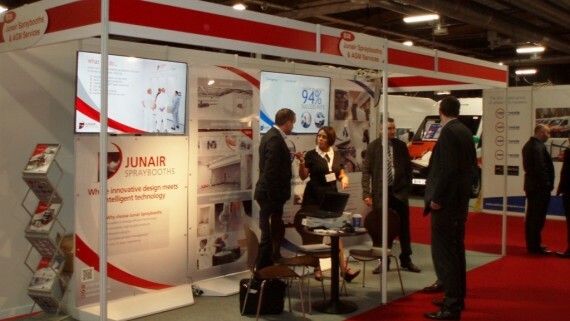 All Junair booths now come with energy saving UltraLux LED as standard. Enhance your workshop’s ‘green’ credentials with LED lighting upgrades for spray booths. The new 3 Series spraybooth at Rye Street also boasts the revolutionary new LEVAC Ex Floor. 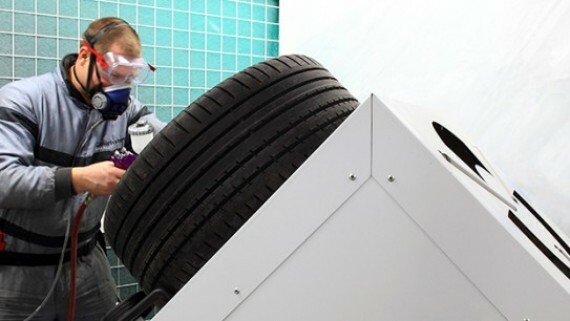 The Junair LEVAC floor is a low profile floor developed by Junair to offer bodyshops a full downdraught airflow without the need to excavate a pit. 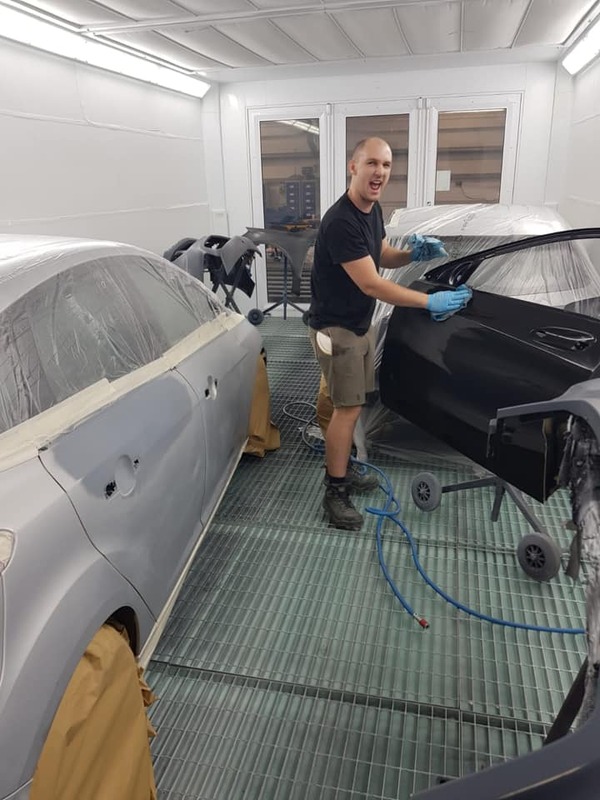 A full downdraught airflow produces the ultimate finish in the paint work by whisking any contaminants downwards away from the vehicle or parts being painted rather than across the spraybooth and subsequently across the vehicle being refinished. The new Junair LEVAC Ex floor not only offers full downdraught airflow but also incorporates the latest in filtration technology. Its pioneering design will increase the time between filter changes by over 200%, giving you longer between filter changes, with no significant drop in airflow until the filter expires. 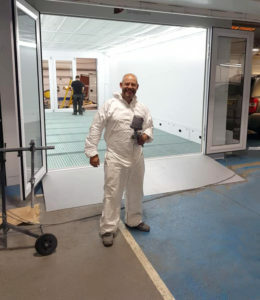 The inner workings of the spraybooth are kept cleaner for longer, reducing the build-up of overspray inside the air-handling plant which in turn increases the longevity of the spraybooth. Learn more about the LEVAC floor floor for automotive spraybooths.